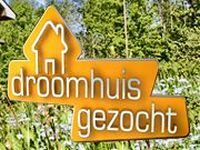 Last year, TCB organized a press trip for the Dutch TV Program Droomhuis Gezocht! to visit Bonaire. On February 23, 2015, the show aired and reached 1.9 million viewers. We would like to thank the following partners for supporting this press trip: Plaza Resort Bonaire, Rancho Washikemba, Cadushy Distillery and many others. This episode can be viewed online here.